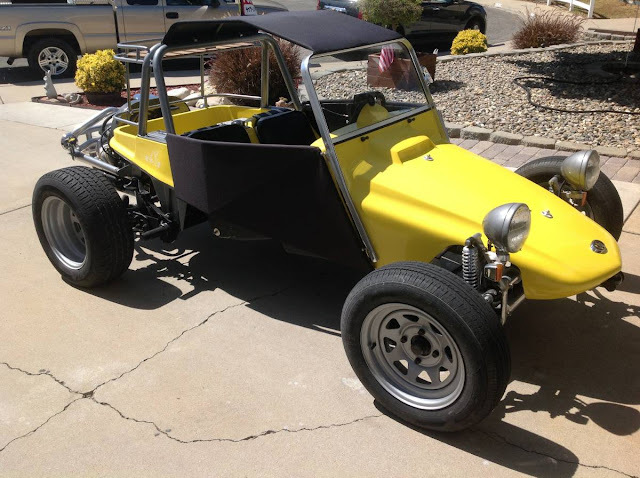 Back in the 1960s Bruce Meyers took the concept of the custom built dune buggy (similar to the examples that cruised around Pismo Beach, CA) and turned them into a reproducible thing. The original concept was sold as the Manx, but later Bruce and his team introduced a miniature off-road only buggy called the Tow'd. 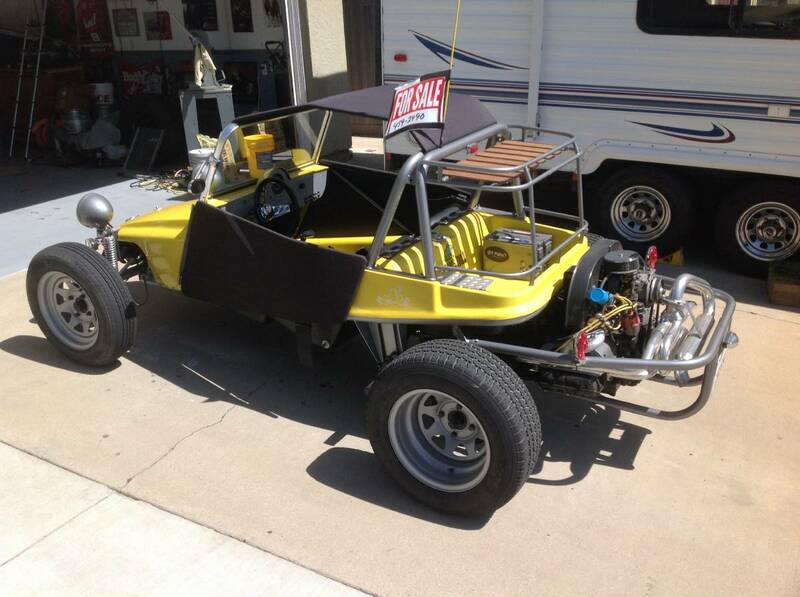 Find this 1972 Meyers Tow'd offered for $7,200 in SF Bay Area, CA via craigslist. Tip from FuelTruck. The Tow'd was designed to be towed behind your motorhome and then hopped over sand dunes like a toad when you get to the various free to play areas that used to dot the American landscape. These dune buggy off road areas have mostly been closed by the never ending creep of urbanization and big brother's need to keep us safe from ourselves...but this is essentially an early version of the market need that has been filled by the likes of Polaris and other enclosed ATV builders. 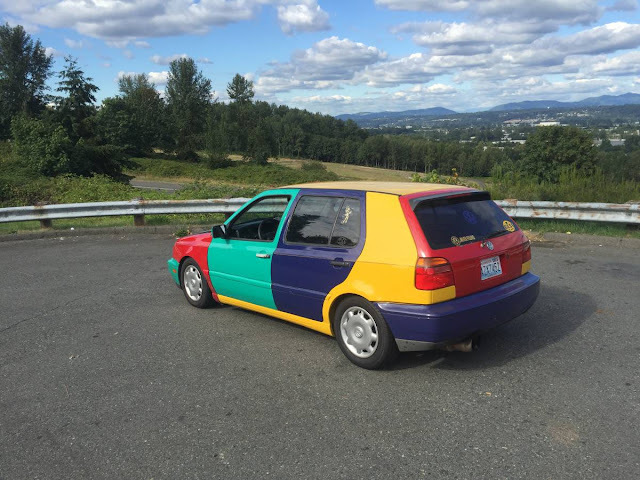 The Tow'd is powered by a 1600 cc flat-4 aircooled Volkswagen engine from a Beetle or some other slow boat...however, in the ~1000 lb Tow'd, this thing should feel peppy and zippy. 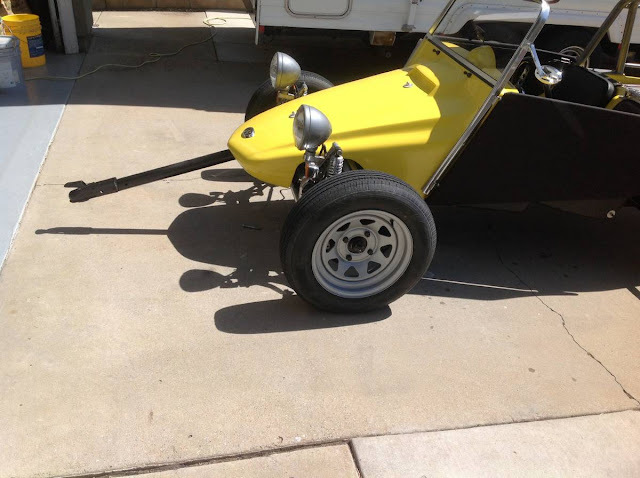 At some point in time, this Tow'd was turned into a street car, and is now closer to the Tow'dster (which was the street legal kit version from Meyers when new).